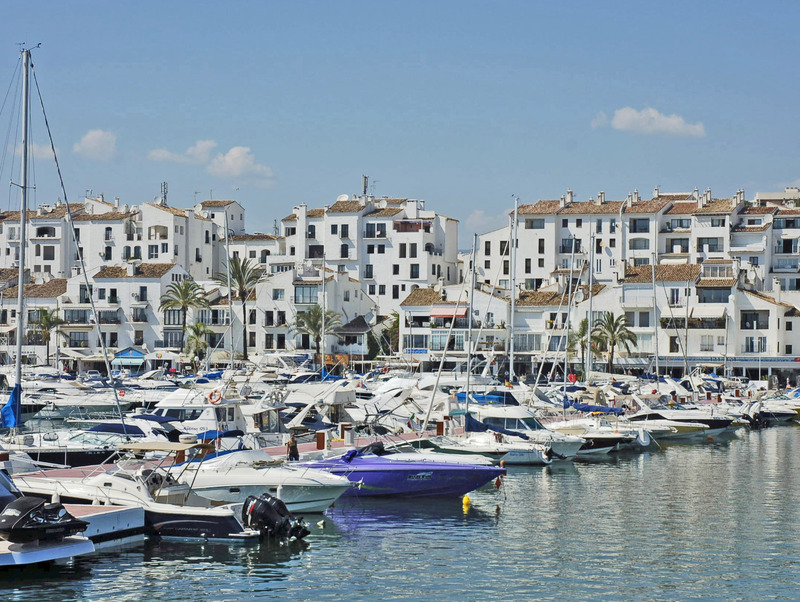 The upmarket marina of Puerto Banús is one of the most attractive locations for house hunters searching for a luxury apartment or villa for sale in Marbella—and with good reason too. The lifestyle on offer within the Andalusian village-inspired harbour or the surrounding residential apartment zones and frontline beach villas has made Puerto Banús a destination of global standing where billionaires’ yachts can be seen at their moorings and Ferraris, McLarens, Lamborghinis and Bentleys line the quays. While the vibrant nightlife, trendy clubs and fine-dining restaurants provide a splendid social scene, there is much more to Puerto Banús than simply a party lifestyle. Boutiques offer brands from Gucci to Tom Ford, Versace to Jimmy Choo, Dolce & Gabbana to Louis Vuitton, while the glorious sandy shore and Marbella’s famous beach clubs provide the perfect setting to relax under the Andalusian sun. The properties for sale in Puerto Banús match the standards you would expect in such an upmarket marina. Condominium complexes such as Playas del Duque—which features 30,000m2 of landscaped gardens—Los Granados, Embrujo Playa, Medina Gardens and the truly exceptional Casa Nova offer apartments and penthouses for sale in Puerto Banús that embody the Marbella lifestyle at its best. Built to the very highest standards and often making great use of the finest marble, stone and tropical hardwoods, they all offer five-star facilities, including in many cases such features as gyms, saunas, Jacuzzis, Turkish baths, concierge services and private security. Penthouses for sale in these complexes enjoy spectacular sea or mountain views—and often both. Villas in Puerto Banús are in high demand and only rarely come onto the market. The most desirable of these are the mansions that benefit from expansive beachside plots, while more compact options in similarly well placed locations are also available. Río Verde is another popular urbanisation just a short stroll to Puerto Banús, although with the added prestige of a Marbella Golden Mile address. A selection of villas from traditional Andalusian style to contemporary are offered for sale on this leafy estate that is just a stone’s throw from the beach and the elegant Paseo Marítimo promenade. 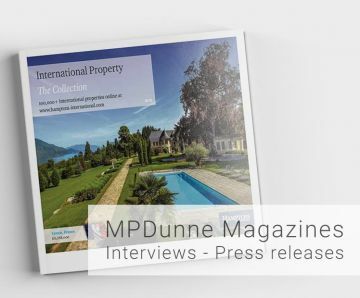 MP Dunne Hamptons International has a premium selection of luxury villas and apartments for sale in Puerto Banús and all the best parts of Marbella—please contact us and we can assess your requirements and find the perfect property to match your needs.